UNP MP Mangala Samaraweera has stated he believes that contesting under a common coalition is of paramount importance in order to prompt a regime change. 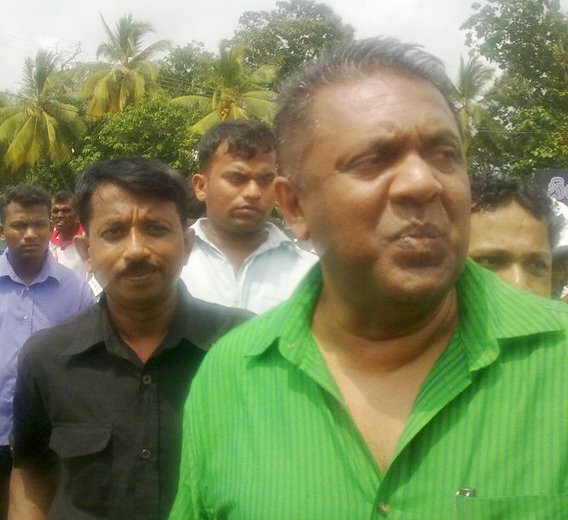 In an interview with Sunday Lankadeepa, MP Samaraweera has stated that he is in favour of a coalition movement as it has been proven in Sri Lanka time and again, that in order to garner a marked victory during the elections – a coalition movement is a must, with the exception of the election in July 1960. While stating that it is a practical necessity, he has stated therefore the movement to promote the Opposition Leader Ranil Wickremesinghe has the common candidate at the upcoming Presidential Election should be strengthened. He has moreover noted that it is important that the present debate ongoing in the party concerning the appointment of Sajith Premadasa as the Deputy Leader therefore, should not in anyway disrupt the movement to promote the opposition leader as the Common Candidate. “I have no issues with Sajith and there is no reason for me to have an issue with him. But this is not the time to fight over positions – rather its the time to work together to prompt a regime change. But if the ultimate priority of certain individuals is to secure positions in the party, we should dedicate ourselves to work for the betterment of the people and hand them the positions they demand,” MP Samaraweera has stated while adding that if appointing Sajith as the Deputy Leader would help keep the party together he supports the decision. “But it should not be done in fear of any retaliations or threats by some of these media institutions with vested interests,” the MP has remarked. He has gone on to state that the UNP has always been keen to maintain and preserve the unity within the party. “Those who claim to support him now used to speak ill of him and degrade him using certain media institutions. Not just during this election, even during the previous elections he has always been keep on getting the various factions within the party to work together and iron out the differences. Although there was a media mafia continuing to disrupt these attempts by parties with vested interests of indirectly supporting the government, he didn’t give up and neither was he discouraged by the attacked leveled against him by certain media institutions,” he has added. The Realities Of The Panama Papers: Will Sri Lanka Wake Up?